When Comic Books Ruled the Earth: Let's all look at Henry Cavill as Superman why don't we? Let's all look at Henry Cavill as Superman why don't we? There it is, the picture you've all already seen! 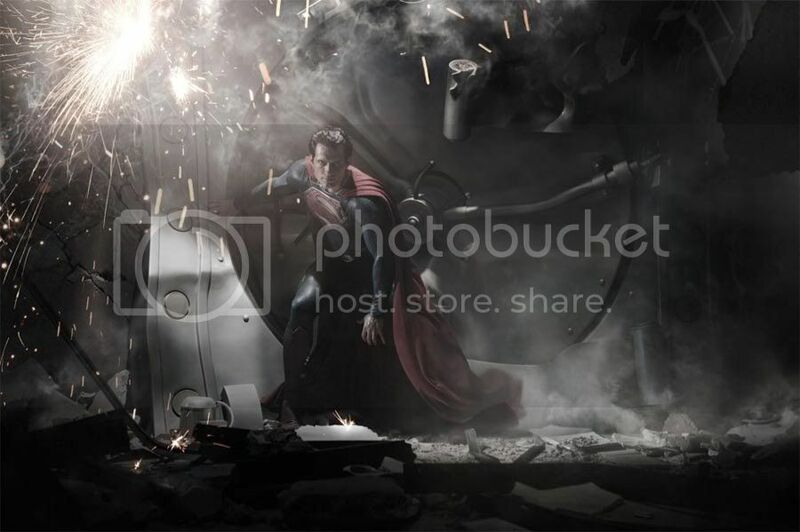 It's the first image of Henry Cavill as Superman from the upcoming Zack Snyder movie Man of Steel. Or is it Superman: Man of Steel? It's all about Superman, I take it. As a Superman fan and a loudmouthed jerk with a stupid blog about comic books, I feel I have to add my opinion to the hoopla and hullabaloo no doubt going on right this minute. Cavill looks the part. As for the costume, the movie is still two years away, and I haven't seen Cavill-Superman in action. That will be the real test. If he can project Superman's power and charisma and basic likability and the special effects people give some weight to his landings so he seems like a superhero and not a featherweight CGI homunculus, it will work. From what I've read the movie is still in pre-production so this might not even be the final version. If everyone screams loudly and long enough, they might change it. I'm not in love with it-- I don't like my Superman looking as though he's just come from a Kryptonian funeral-- but I don't hate it, either. 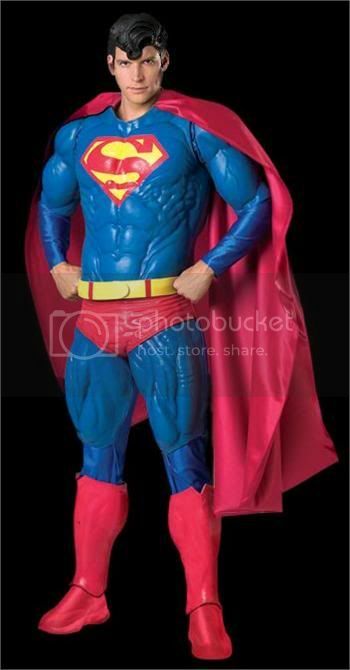 In fact, I prefer it to the suit Superman will wear in the new DC reboo-- er-- relaunch. Those ugly boots really kill that one for me. This photo is the perfect Zack Snyder image, though. Dark, artificial, polished to the point of looking like the inside of a particle accelerator and projecting almost as much warmth, ultimately jumbled and confusing, a shallow exercise in a certain aesthetic over substance. I've seen two Snyder movies, 300 and Watchmen, and neither of them appealed to me. Actually, 300 made me physically ill. I don't think I was in its target audience demographic and it played mostly as the opposite of everything I like in a movie-- I tend to prefer story over plot, characters over types and conversation as opposed to screaming out bombastic nonsense. On the other hand, Man of Steel has an unimpeachable cast. And with Snyder at the helm, it's not likely to be a snoozefest like Superman Returns. Snyder and company might want to do everything they can to avoid coming any closer to this.